Maybe it sounds a bit contradictory to suggest that you can prepare for a dental emergency. Isn’t something considered an emergency precisely because you didn’t plan it? Perhaps. But as with any other type of emergency, medical or otherwise, having a plan in place ahead of time can help things go more smoothly if and when accidents occur. When it comes to dental emergencies, specifically, knowing what to do can mean the difference between saving a tooth or losing it for good. That’s why our team at Times Square Dental wants to share today’s blog with you about ways to prepare for a dental emergency so you can stay calm, follow some simple steps, and possibly save your smile while you wait to be treated in our Boise, ID dental office. Anyone who has undergone some sort of emergency training before will agree that your first response should be to stay calm. You can’t be very effective in an emergency situation if you’re panicked about what’s going on. You might be asking yourself how in the world could you stay calm if you or someone in your family experience some kind of injury to the mouth. It’s understandable. But one of the ways you can help make sure you’re able to keep your head straight after an accident or injury is to put a plan in place before it happens. That will take a lot of the guesswork out of how to handle the situation, which tends to be what makes people panic in the first place. During a medical emergency, it’s easy to keep a cool head when it comes to figuring out where to go or who to call. You can call 911 or head to your nearest emergency room. But what about emergency dental services? For injuries specifically affecting your teeth and gums, you want to know there’s a dentist close by you can count on to get you the dental care you need fast! Save the phone number to Dr. Hastings at our Boise, ID dental office in your list of contacts. You can reach us at 208-278-1069. That way you don’t have to waste a single second frantically looking up a provider’s name and contact information in the event of an emergency. Just as you have a home first aid kit, it’s helpful to keep a similar kit for dental emergencies, as well. You can spend some money buying a premade kit online or you can save a few bucks and simply create your own. Store it in your car or somewhere in your home where you’ll have easy access to it when you need it most. You might be wondering what constitutes a dental emergency. 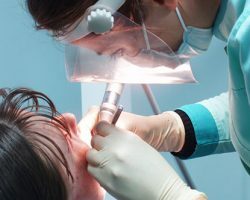 Any injury involving the mouth such as your teeth, gums, cheeks, or lips could be considered the kind of accident that warrants emergency dental care. -Store the tooth in a sealed container of milk, if possible, and bring it with you to our office. -If you don’t have milk, keep the tooth inside your cheek to keep it viable. With those common steps, you have a much better chance of saving the tooth. Beyond that, you should call our office, follow the instructions, and soon you’ll be under the capable hands of one of our dental professionals who can get you out of pain and save your smile! Call Times Square Dental at 208-278-1069 when you need dental care in a hurry, or fill out our convenient online form to any non-emergency appointments.